Obituary – Dauman, Maxine Fae (Branham) « Perry High School Alumni Association, Inc.
– was a member of the 4-H club, the Red Hots and the Pep squad during her school days. She is the daughter of Mr. and Mrs. G. S. Nelson of near Stillwater. She attended District 81 and District 74 schools before coming to Perry for her High School training. She is undecided as to her future career. 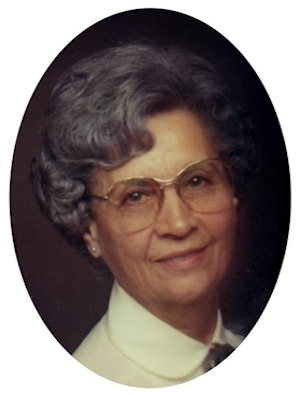 Maxine F. Dauman, 92, of Perry, Oklahoma, was born on June 13, 1921 in Perry, Oklahoma to Henry Sylvester and Bessie Lee Anglemyer Branham. She went to be with her savior on Saturday, October 26, 2013 at Green Valley Nursing Home in Perry, Oklahoma. She married her sweetheart and love of her life, Eugene Gene Robert Dauman on December 28, 1939 at the St. Rose of Lima Catholic Church in Perry, Oklahoma and lived most of their married life in Perry. Maxine enjoyed watching ice skating and soap operas when she was not having coffee and walking with her friends. She loved watching her grand children’s sporting events and you could always find her there cheering them on. Maxine loved her family with all her heart and she made each member feel special with her love and support. She once said that the most favorite time of her life was when all four children were at home. She was a member of the St. Rose of Lima Catholic Church in Perry, Oklahoma. A Rosary will be held Sunday, October 27, 2013 at 7:00 p.m. at the St. Rose of Lima Catholic Church in Perry, Oklahoma. Mass of Christian Burial will be held Monday, October 28, 2013 at 10:00 a. m. at St. Rose of Lima Catholic Church in Perry, Oklahoma. Rev. Mariyanandam Mario Pulugujju will officiate. Interment will be at St. Rose of Lima Catholic Cemetery in Perry, Oklahoma. Services are under the direction of BrownDugger Funeral Home in Perry, Oklahoma. Memorials may be made to the Alzheimer Association or the St. Rose of Lima Catholic Church in care of BrownDugger Funeral Home, 1010 N. 7th Street, Perry, Oklahoma 73077. 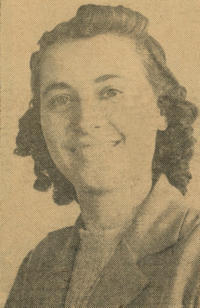 Maxine is survived by three daughters, Marvie Rotter and her husband, Bill of Perry, Oklahoma, Cindy Luttrell and her husband, Bill of Edmond, Oklahoma, Jill Potter and her husband, Michael of Willis, Texas seven grandchildren, Pamela Sherrill and her husband, Steve of Fairfax, Oklahoma, Rick Hansing and his wife, Carolyn, Jay Luttrell and his wife, Erin both of Edmond, Oklahoma, Evan Luttrell and his wife, Veronique of Midwest City, Oklahoma, Gabe Luttrell and his wife, Madeline of Oklahoma City, Oklahoma, Kari Luttrell of Midwest City, Oklahoma, Mason Potter of Dallas, Texas nine greatgrandchildren, Jared Reaves and his wife, Justina of Wayne, Oklahoma, Kyle Reaves and his wife, Nicole of Perry, Oklahoma, Cooper Sherrill and Mary Lauren Sherrill both of Fairfax, Oklahoma, Jack Hansing, Lilly Hansing, Luke Luttrell, Nash Luttrell and Max Gordon all of Edmond, Oklahoma four great, greatgrandchildren. She was preceded in death by her husband Gene Dauman one son, Jay Rodney Dauman parents, Henry and Bessie Branham one twin sister, Mildred May Crane and four brothers. The family would like to extend a special thanks to all of Maxines friends for their love and support over the years.